Provo • After BYU walloped Western Michigan 49-18 in the Famous Idaho Potato Bowl, WMU coach Tim Lester said BYU’s James Empey was one of the best centers the Broncos faced the entire season. 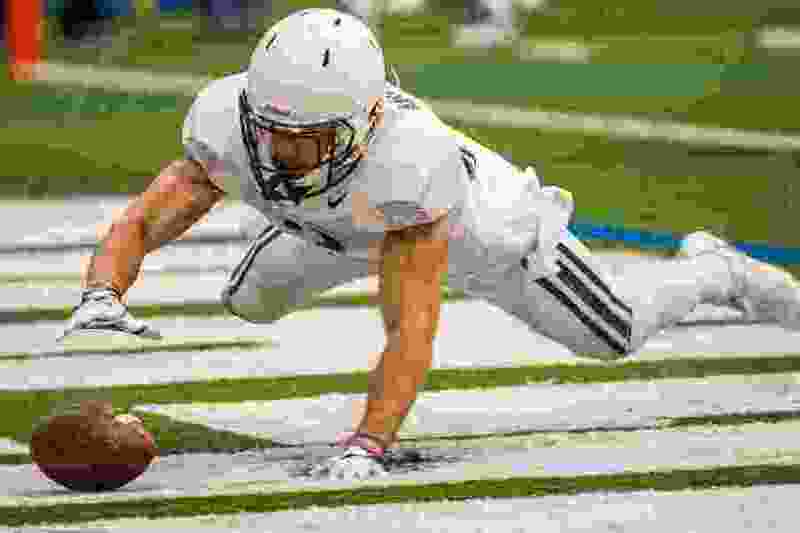 A 13-person panel of college football experts apparently agrees, because on Monday Empey was named to the 2018 Football Writers Association of American Freshman All-America Team. The redshirt freshman, a returned missionary from American Fork High, is one of 32 players on the team. He started all 13 games for the 7-6 Cougars in 2018 and was ranked as the No. 1 freshman center in the country by Pro Football Focus. The 18th Annual FWAA Freshman All-America Team is highlighted by Clemson quarterback Trevor Lawrence, who will play in Monday night’s College Football National Championship game at Levi’s Stadium in Santa Clara, Calif., against Alabama. WMU coach Tim Lester on BYU center James Empey: "Their center was as good as we've seen." He said BYU's OL improved in pass protection as game went along. Fellow BYU offensive lineman Thomas Shoaf earned freshman All-America honors in 2016 and BYU’s last starting center, Tejan Koroma, received similar accolades in 2014. BYU tight end Matt Bushman was also a freshman All-America selection in some publications. All 10 Football Championship Subdivision conferences are represented on the team. Also Monday, BYU defensive back Isaiah Armstrong announced on Twitter that he is leaving the program as a graduate transfer. Armstrong noted that he will graduate in April and has put his name on the NCAA’s transfer portal and can be contacted by other coaches and schools. Armstrong transferred to BYU from Riverside City (Calif.) College in 2016 shortly after Kalani Sitake became head coach. He played in six games in 2016 and redshirted in 2017. He played in all 13 games this past season, mostly on special teams. Last month, BYU receiver Akile Davis also announced he is leaving the program as a graduate transfer. Linebacker Christian Folau and defensive lineman Wayne Kirby have also announced they are transferring.